WASHINGTON – After nearly doubling between 2007 and 2013, the number of AmeriCorps participants in Arizona has dropped about 30 percent in the past year, according to the Corporation for National and Community Service. Officials say the lagging interest likely reflects an improving economy in Arizona. “We’ve seen that with volunteer trends over the last few years, is that it really depends on the local economy,” said Kimberly Broadie, Arizona director for CNCS, which runs AmeriCorps. After holding steady around 1,580 participants each year from 2007 through 2009, the numbers jumped in 2010 and again in 2013, when they peaked at 3,309, according to statistics from CNCS. 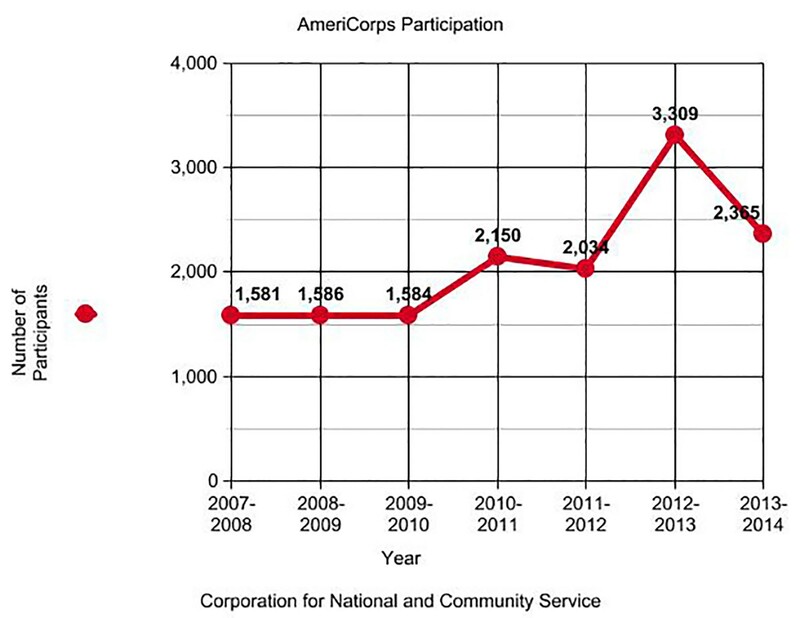 The number of AmeriCorps participants in Arizona slid back to 2,365 for 2013-2014. Those changes roughly paralleled state unemployment, which peaked at 10.8 percent in 2010, according to the Arizona Department of Administration. It said the unemployment rate began nearing pre-recession levels in 2013. Broadie, who has worked with CNCS in various capacities for 10 years, said it used to be that candidates for AmeriCorps faced a difficult decision: Give back to the community or begin a career. That changed in 2009, she said, as employment opportunities in Arizona decreased and interest in AmeriCorps increased. Participants are also eligible for student loan deferment. Once they complete their stint, they can get scholarships to pay for school or to pay off student debt or, in some cases, loan forbearance. All were especially enticing when the recession worsened, Broadie said. AmeriCorps was created 20 years ago as a domestic service corps that gives participants a stipend and a promise of college tuition grants and aid in exchange for spending a year or more working in low-income communities. 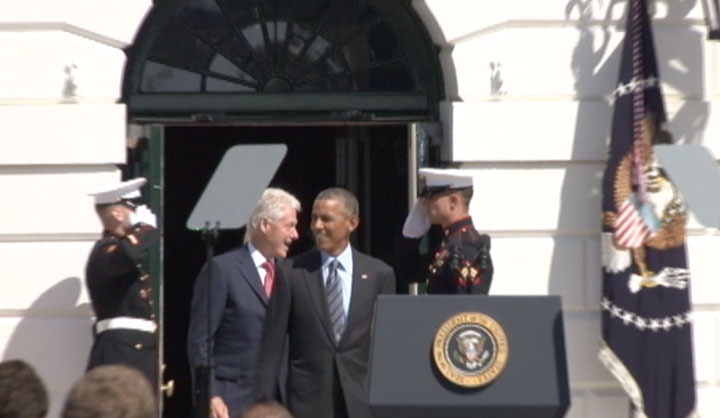 The 20th anniversary was celebrated Friday with events around the country, including a White House ceremony with President Barack Obama and former President Bill Clinton, who began the program. “AmeriCorps works because all of you who went before kept your promise to get things done,” Clinton told the 600 AmeriCorps participants assembled at the White House for the event. Since its start, more than 800,000 people have gone through the program nationwide, putting in more than 1 billion hours of service, according to CNCS. Arizona state Rep. Stefanie Mach, D-Tucson, was one of those people. Mach, who took part in an anniversary celebration Friday in Phoenix, said she got her start in public service through the program. She said her service with AmeriCorps in 2002 had a direct influence on the rest of her life. “AmeriCorps really set the tone for my leadership. I learned so much not only about myself, but how to be a part of the community,” Mach said. Broadie said it is not uncommon for people who go through AmeriCorps to continue in public service. Many alumni get jobs with the organizations they are assigned to work with, she said. Despite the dip in Arizona, numbers from the CNCS national office indicate that there is still a strong interest in serving with AmeriCorps. Nationally, four applicants in five have to be turned away from the program. And Broadie said demand for the service remains high among the nonprofits requesting assistance in Arizona. Projects are funded on a competitive basis, and requests from Arizona groups landed $6.1 million in funding for 52 projects in 2013-2014, about in the middle of the pack when compared to other states. President Barack Obama celebrated AmeriCorps' 20th anniversary at a Washington ceremony with former President Bill Clinton, who started the program. 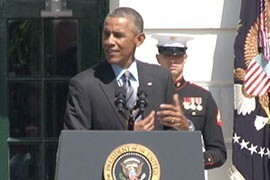 Cronkite News reporter Brittany Bade reports from the White House. AmeriCorps saw significant gains in participation in Arizona beginning in 2009, followed by a drop of almost 1,000 participants in 2013-2014. Officials say an improving economy could be part of the reason. 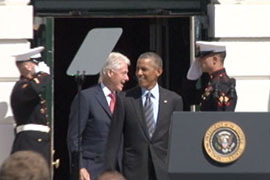 AmeriCorps was started by former President Bill Clinton, left, and expanded by former President George W. Bush and President Barack Obama, right.